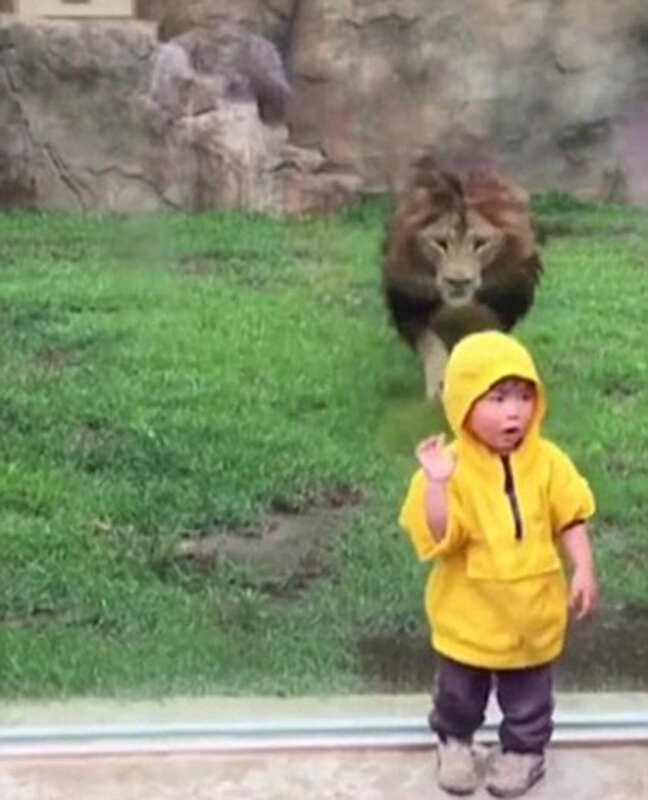 This is the terrifying moment that a lion pounced at a toddler, only to be halted by the glass separating him from the outside world. The big cat slammed its head straight into the enclosure’s wall after lunging at the two-year-old as soon as he turned his back. 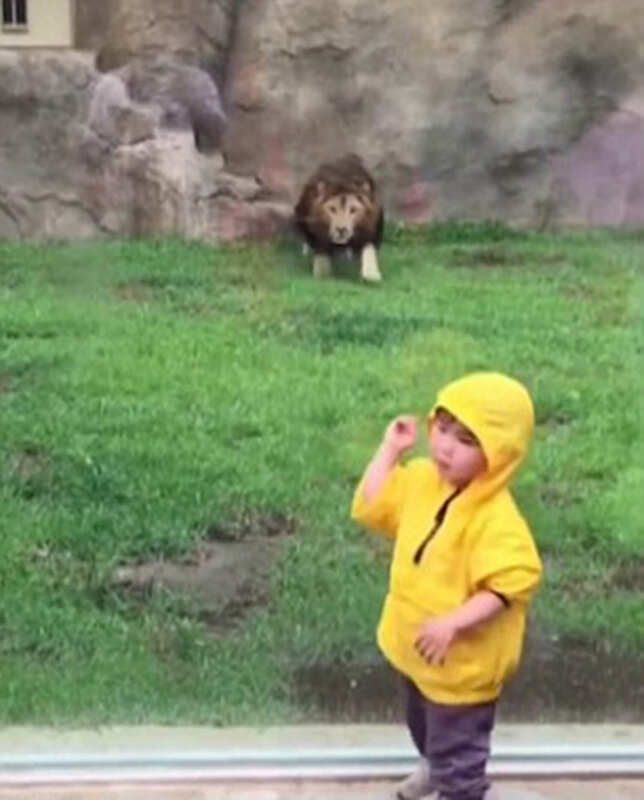 The lion had been locked in a staring contest with the young boy at the zoo in Japan, prowling down from a rock and into a prime position directly across from the child. When the youngster finally looked away the big cat took the opportunity to leap forward before slamming itself straight into the enclosure wall. 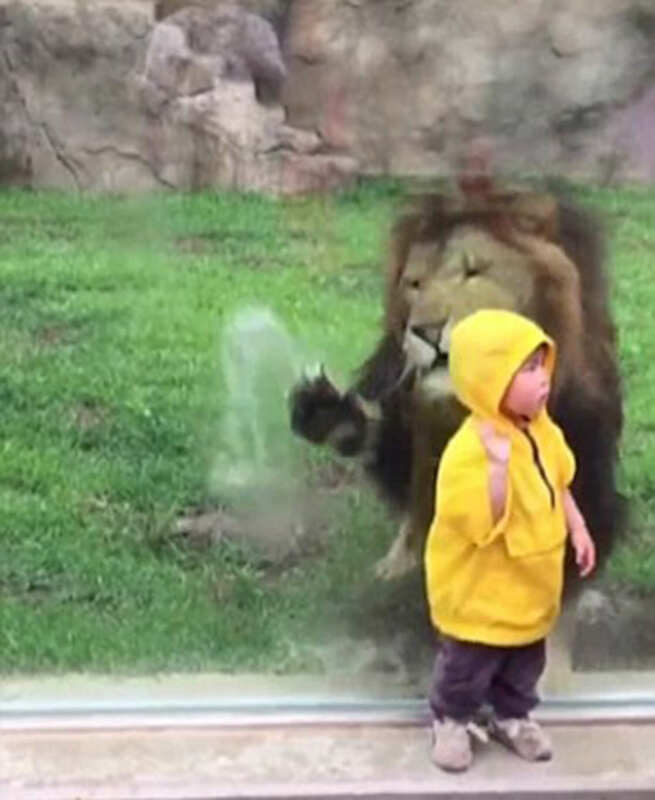 The kid either doesn’t really know what’s going or generally gives zero fucks about almost becoming the lions next meal, as he just swiftly moves away. Zookeepers, however, have insisted that the lion’s ‘attack’ wasn’t a sign of aggression and he apparently does this quite a lot with kids because he wants to play with them. Lions are natural wild predators and the child in this video, especially when turning his back to the massive feline, becomes prey in the animal’s eyes. But luckily for the family, if the barrier had not held the consequences could have been catastrophic. This just comes days after Harambe the gorilla was shot dead by zookeepers after a child got into his enclosure. Both parents were widely condemned after the incident for ‘taking their eye’ off him. Word of warning- you probably shouldn’t ever turn your back on a big cat- it usually doesn’t end well.